-- Take along plenty of water, layers of clothing, jackets and hats for a wide range of temperatures and weather conditions. You can go from shirt sleeves in the desert to snowfall in higher elevations in less than two hours. Water is essential if your car breaks down in a remote spot in the desert or high country. -- Bring a paper map or atlas. It might be more accurate than your smartphone GPS and is a good backup if your phone battery needs recharging. A plug-in phone charger is a good idea. Keep in mind that cell service is spotty in parts of Arizona. -- Tell a friend or family member, where you plan to go, what route you'll take, when you expect to get there and when you will return home. It doesn’t hurt to text them along the way. If you’re lost or stranded, narrowing the search area is important. -- Check the weather and road conditions. Winter storms in the high country and dust storms in the desert are no time to be on the road in Arizona. Call 511 for road conditions statewide or go online to AZ511.gov. The Arizona Department of Transportation also updates accidents and road closures on Twitter @ArizonaDOT. ​-- Be sure your tires, spare and windshield wipers are in good condition, your car is running well and don’t let your fuel tank get too low. There are spots around the state where you won’t see a gas station for 40 or more miles. Don’t get caught with old windshield wipers in a snow or rain storm. -- An ice scrapper is essential if you’re going to be driving in the higher elevations in the winter. A small shovel is a good idea as well. -- Do not cross flooded washes. ​-- In a dust storm, get off the highway and find a safe spot to stop. Turn off your engine and your lights, and keep your foot off the brake pedal. 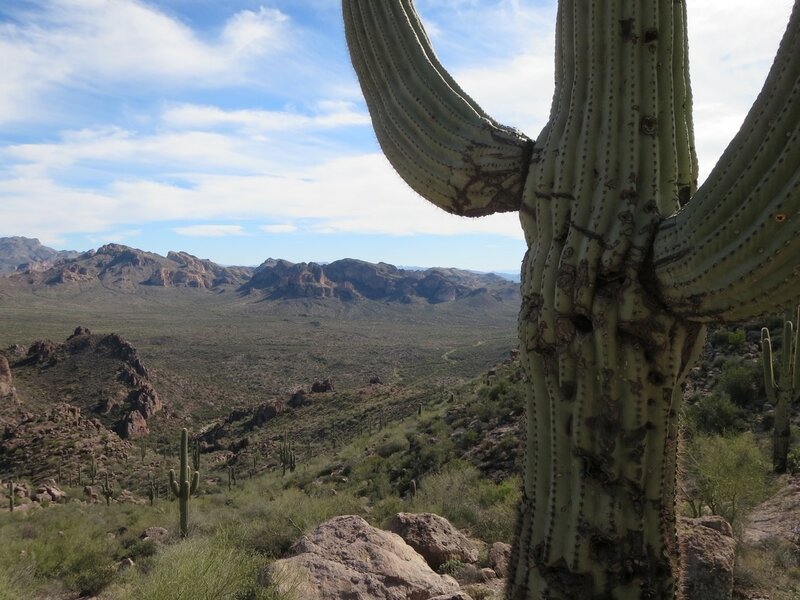 -- Take the advice of an Eagles’ song and “Take It Easy.” Touring Arizona is not a race.